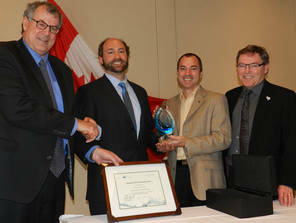 On March 22, 2013, the council was awarded the first-ever Council of the Federation “Excellence in Water Stewardship Award” for B.C. The Council of the Federation – a collaboration of Canada’s provincial and territorial premiers – established the award to recognize outstanding achievement, innovative practice and leadership in the area of water stewardship. Find the full News Release here.